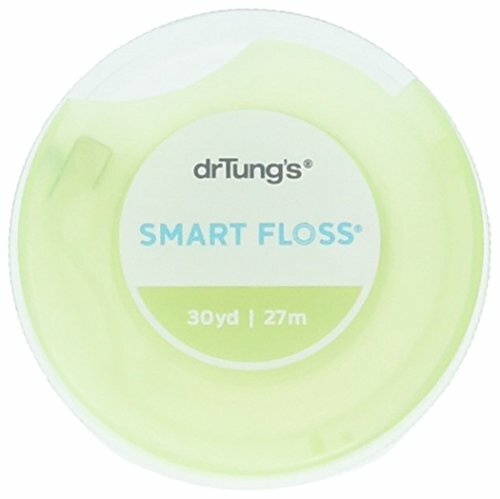 What is the best floss? If you were to wash your car, would you wash the body work but not the wheels? If you were to wash your face, would you wash all but your left cheek? I am presuming the answer to these 2 questions is no. Why is it then, when it comes to brushing our teeth, many of us are failing to clean up to 40% of the tooth surface? The side of your teeth might not be on show like the front of them are, but the gaps between each tooth can soon become full of bacteria and food particles that have a negative effect on our oral health. This is where flossing comes in. Flossing is for many of us the word we really rather not hear or think about. The very act of flossing is a thing of nightmares. It’s awkward, messy, takes ages. Recent news headlines have questioned the lack of strong evidence for flossing, particularly when organisations like the American Dental Association (ADA) remove it from their guidelines. A 2011 review of clinical studies found that some of the data and links between flossing and plaque removal were weak. Despite this, leading health organisations like the ADA and the National Health Service (NHS) still suggest that it should be considered as part of a good oral hygiene routine. Let me be clear, there is not one super-duper floss that will be perfect for all. It is about finding the one that is right for you. 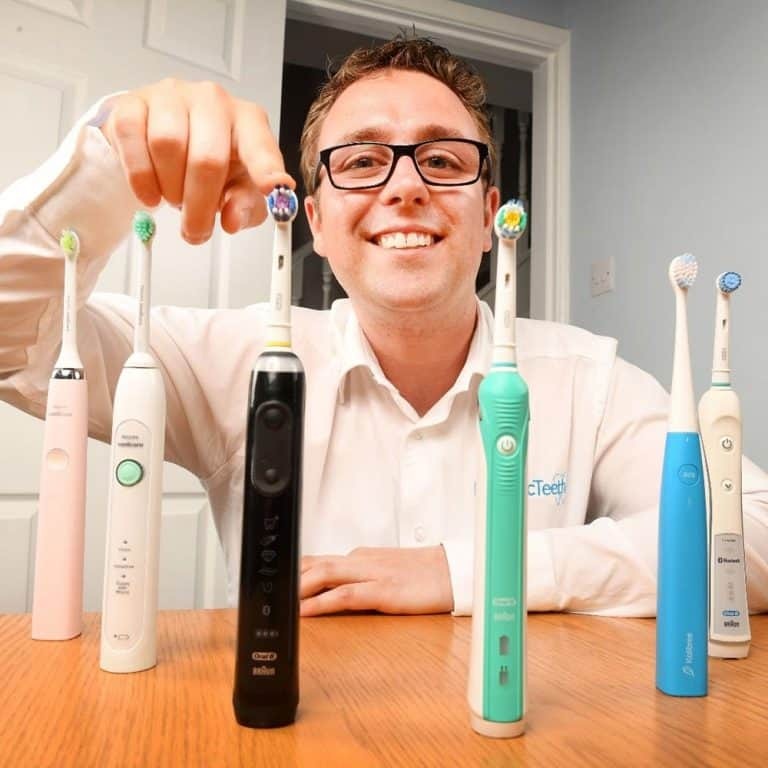 Throughout this article I explain the factors you need to consider to help make a decision, but, for those short of time, these are some of what I consider to be the best better options..
As advanced as toothbrushes are, particularly electric toothbrushes, there is a limit to how well they can clean the edges of teeth and interdental spaces (the gaps between the teeth). Whilst the bristles of the toothbrush will reach to some extent between these gaps, failing to floss means you are failing to clean up to 40% of the tooth surfaces. Failing to effectively clean in between the teeth can over time cause a buildup of plaque, which then grows into tartar and can cause gum disease, gum recession and decay. Here are just a few of the reasons why you might want to consider flossing. 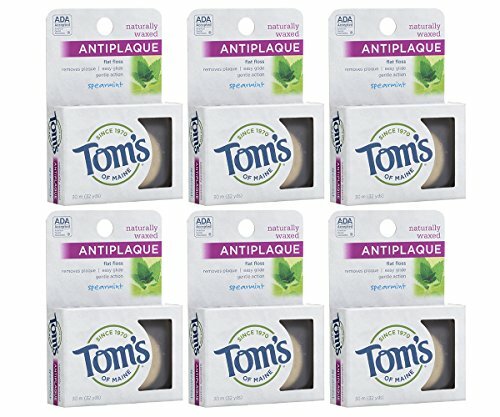 Cleans the areas of the teeth (up to 40%) that regular brushing does not reach. Dental floss is a string or tape made up of one or more strands. When inserted in between the teeth and rubbed against the tooth surface, floss helps clean the area it comes into contact with by scraping and lifting bacteria and food particles off the teeth and out from under the gumline. Overall flossing helps to achieve a cleaner and healthier mouth. If you were to read our article on the history of the toothbrush, you will find that it dates back to 3500BC. It is therefore perhaps not all that unsurprising that dental floss has a history that stretches back many years. Sadly the timeline for floss is not as detailed as the electric toothbrush with information being unclear as to exactly when dental floss was first used. However, research has suggested that floss or equivalent tools existed in prehistoric times. Grooves from toothpicks have even been found in the mouths of prehistoric humans. Suggestions are that horse hair along with twigs were used as floss. It is not until 1815 that American dentist, Dr Levi Spear Parmly introduced the idea of using waxed silk thread as a floss. In 1882 unwaxed silk floss was mass produced by the American company Codman and Shurtleff. By the 1940s, and with World War II underway, silk became expensive and the introduction of the cheaper and stronger nylon meant that this became the material of choice. It was Dr Charles Bass who made flossing part of daily oral hygiene routines, as until this point it had not been widely adopted. In the 1980s interdental brushes were developed and have risen in popularity ever since. 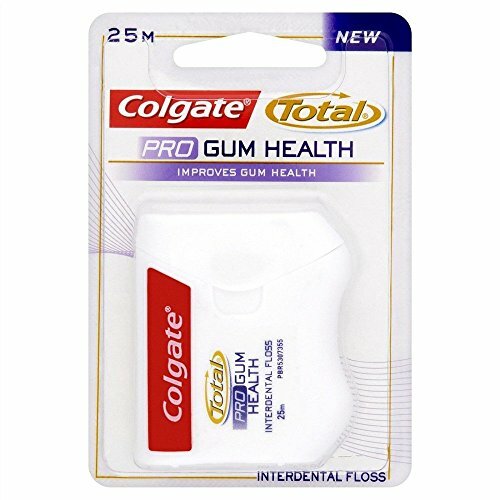 Today we have a wide variety of flossing tools and types of floss which are explained within this article. Made from nylon, floss begins life as plastic pellets. Melted together and formed into long strings, this is then stretched to increase the strength and length of the molecules within. The floss then gets a clean to wash off any dirt, it is coated with a wax and covered with a peppermint powder to give the floss that minty fresh taste. As you can imagine the vast majority of this is completed automatically by machines. The following video shows how one type of dental floss is made, in this particular instance, Oral-B’s Satin Floss, which I have reviewed here at Electric Teeth. It comes in varying sizes, but compared to the more standard floss that is thin and round, tape is generally thicker but flatter. 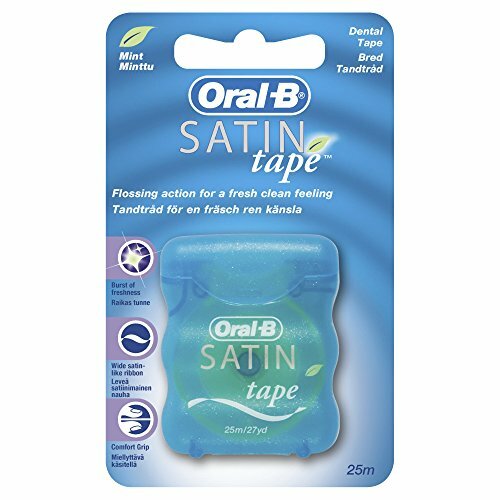 Ideally suited to those with larger gaps in between teeth and greater surface area to clean, the tape is also offered in waxed or unwaxed options. Typically sold on a reel, you cut the tape to length as and when you need it. Engineered to better suit those with braces and bridges, this type of floss comes pre-cut, rather than on a reel or spool like traditional string or tape floss. The piece of floss has a stiff, spongy and regular floss section to it. The stiff section allows the floss to be fed through and around dental appliances with more ease whilst the regular floss and spongy section ensure appropriate contact and effective cleaning within the gaps of the teeth and dental appliance. More often than not Superfloss comes precut in strands ready to use out of the box. For some the man made floss options might not be suitable or in line with your personal beliefs or approach to dental care. There are a number or more natural options each have their own design and benefits, but try to mimic that of regular floss, but with a more natural and environmentally friendly approach. No chemical ingredients or waxes. Natural ingredients and essential oils are used instead. Whilst some flosses are neutral in their taste, some floss products are available in a number of different flavours. Most often mint flavoured, the taste can be more appealing to adults and children alike and make the process a little more appealing and can be a small step in helping you floss better and more regularly. Flavoured floss can give you an extra feeling of freshness and an extra confidence post use. The exact approach you take to floss your teeth can vary slightly depending on the type of flossing product used and the size of the gaps between teeth.. Step 2: Wrap the ends around your two index fingers, and stretch it between them, so it is fairly taught, leaving about 6 inches between the two fingers. There is no one floss or flossing product that is right for everyone. We are all unique in the shape and profile of the mouth. There will likely be a process of trial and error until you find what works best for you. Consulting your dentist or hygienist is certainly worthwhile as they can give professional recommendations based on your mouth and their experience and knowledge of the products available. I outlined earlier some of the main drawbacks to flossing. It is these drawbacks that put many of us off from flossing regularly, even if we would like to be better and more regular at doing so. I wanted to address some of these drawbacks though, because whilst valid many can be overcome very simply. Whilst this article is focused on the best dental floss it is important for you to know that there are a number of different tools that an help you with flossing. Some make better use of traditional floss, whilst others bring a new approach to flossing. I list a summary of them below, but for suggestions on different tools, why not check out my article on the best flossing tools. These products are particularly great for those with limited dexterity or if you simply find the normal method of flossing difficult. A piece of floss or dental tape comes prefitted between 2 arms, much like the sting on a musical harp. Typically made from plastic, there is a handle that offers up height to the floss that allows you to more easily maneuver the floss in between teeth and different areas of the mouth. Quite often the opposing end of the handle has a small toothpick to aid with interdental cleaning. Designed to be one use items, they are normally sold in larger quantities. Similar to floss picks they hold a length of floss for you. Unlike floss picks that are designed to be used once, a floss holder is reusable. You normally cut a piece of floss to length and thread it on the floss holder. In some instances replaceable or one time use floss heads are available for a more convenient and faster use. Despite being reusable they also give the benefit of allowing you to reach more effectively to gaps and areas of the mouth. As the name implies they are designed to make the process of positioning floss in the mouth more easily. Ideally suited to brace wearers, floss is looped through the threader, much like you would put thread through the eye of a needle. Introduced in the 1980’s interdental brushes are a more modern twist on dental floss and in some cases are more suitable for some users, whilst for others they compliment dental floss. They are particularly popular because of their convenient shape. A number of bristles on a handle allow for simple one handed positioning and placement in interdental spaces. Offering a 360 degree clean the different sized brushes fit into the whole space and make contact with the surfaces on all side, dislodging particles and lifting bacteria such as plaque. I have put together a comprehensive guide together, that tells you all you need to know about interdental brushes and how to use the. Oral-B manufactured the Hummingbird, which offered both these options. Sadly these are no longer available, but Waterpiks Power Flosser is the best example of such a product today. Such tools are particularly appealing to those who have trouble using regular floss but want to pay attention to their interdental spaced. The floss/pick is a piece of soft rubber that essentially wiggles between the interdental pace. Moving thousands of times per minute, the rubber flosser makes regular contact with the teeth and gum surfaces to remove debris and lift plaque. Quite different to regular floss, a water flosser uses powerful jets of water to clean the interdental spaces. It is the power of the water molecules being fired in between the spaces that dislodge the bacteria and debris. Waterpik are the market leaders with an array of products at differing price points. Initial purchase price tends to be higher, but the long term cost and convenience for some can be beneficial. They often come with different tips to aid different users with the best options offering different power settings and other conveniences. A 2005 study found that the addition of a water flosser to a daily oral healthcare routine resulted in a 93% reduction in bleeding and up to 52% better at reducing gingivitis (inflamed gums) than traditional dental floss. Why not check out our articles that look at the best electric flossers and the best cordless electric flossers. 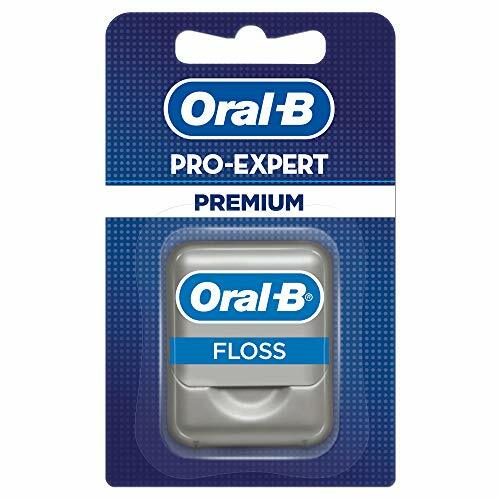 This thin tape floss glides easily between teeth and does not give the harsher cutting effect of some floss products. Coated with mint flavouring, not only does it effectively help clean interdental spaces but offers up a fresh feeling too. Supplied on a 25m reel, you have a few weeks use from each pack. Comfortable and easy to use this is a firm favourite with many. The 40m reel offers excellent cleaning and value. Providing a minty fresh taste each time you floss, this is clinically proven to reduce gingivitis and glide effortlessly between the teeth and gums, which being gentle on the fingers and soft gum tissue. Reaching where brushing can’t this floss is waxed to help and ease you through the process of flossing. Shred-resistant, the floss should last longer without breaking but too give a minty freshness as you floss. SLiding easily between teeth, this floss has been engineered not to shred. A 25m spool of dental tape is packaged nicely inside the compact and hygienic container with easy close lid. 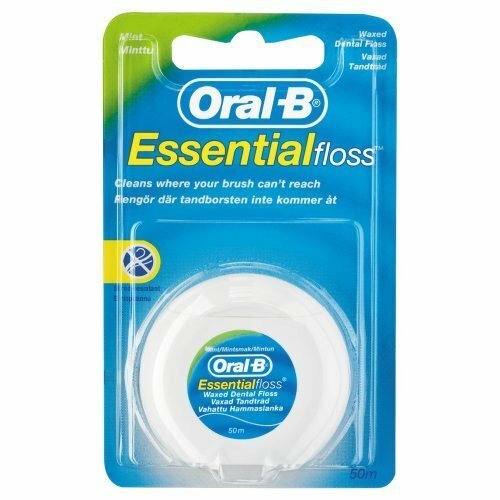 One of the most highly regarded products of its type each pack contains 50 pre cut strands to allow you to floss effectively around braces, bridges and wide spaces. 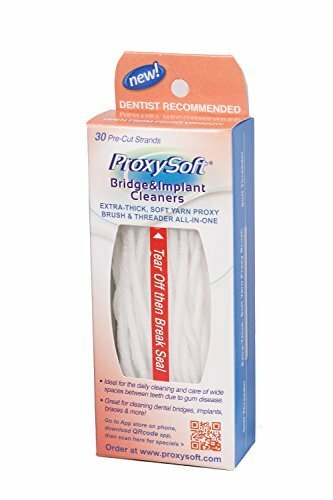 30 strands of floss come provided in each pack and this Proxysoft floss is designed to be the all in one solution for your oral health and flossing needs, particularly for bridges and implants. Built into each end of the flosser is a stiff threader that guides the strand to the position you want it in. Each strand has a 2.5inch threader and a 5 inch spongy filament that is extra thick and this spongy brush section cleans around dental implants and under bridgework. 30 meters of floss of spearmint flavoured flossing ribbon is provided per pack. Naturally waxed, this product is not tested on animals nor does it use animal ingredients. No artificial colours, flavours or preservatives are used and Tom’s of Maine endeavour to be as environmentally conscious as they can. 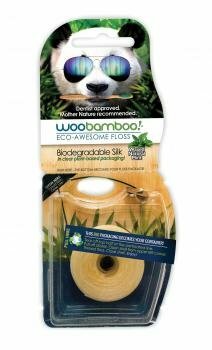 Made with natural and biodegradable silk, this floss is coated in natural beeswax for a soft and smooth flossing experience. Organic mint adds flavour to the floss whilst the plant based plastic packaging keeps up the environmentally friendly credentials. 37.5 metres comes on the roll. This multifilament floss is made from a fiber that is similar to cotton, coated in a blend of vegetable and beeswax for a smooth flossing experience. A cardamom flavouring is offered from smart floss. 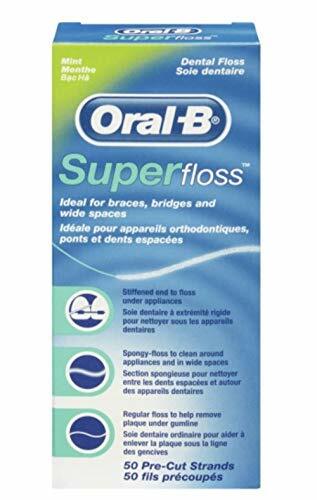 Suitable for those with tight or wide spaces and even braces, this floss stretches and flexes like no other. Hold it tight to feed it up into an interdental gap and release the grip and the floss stretches out to be wide and cover more area and remove more plaque. It comes in biodegradable packaging too. There is more to flossing than you might first think. You need to understand the different types of floss and find the one that is right, or best for you. It is a process or trial and error and at times, it may feel like it is not worth it, but the advice is clear, interdental cleaning is important and you should be doing it daily. I myself am far from perfect at flossing, but I have gone through the process of trialing different products to find what works.